Whilst simply reacting to a breakdown within your premises is a legitimate way to carry out your facility management, there has been increased research that shows that just reacting to an issue may not be the most cost-effective approach to running your business. In fact, spending time creating a planned maintenance schedule that takes into account all aspects of your facility, from your air conditioning units to your lighting system, and ensuring that each is inspected on a regular basis and any necessary repairs carried out, is both a smarter and more cost-effective approach. Unforeseen issues in your facility can mean that your business has to shut down for a period of time whilst essential works are carried out to fix the problem, which in turn can lead to a decline in profits. Planned maintenance helps reduce the possibility of this occurring, as any problems are spotted early on, meaning that repairs should be much simpler, easier and less intrusive to carry out. Planned maintenance schedules give you the much-needed gift of time, allowing you to prepare and invest in the most cost-effective solution to any problems that may occur, rather than having to carry out expensive quick fixes. 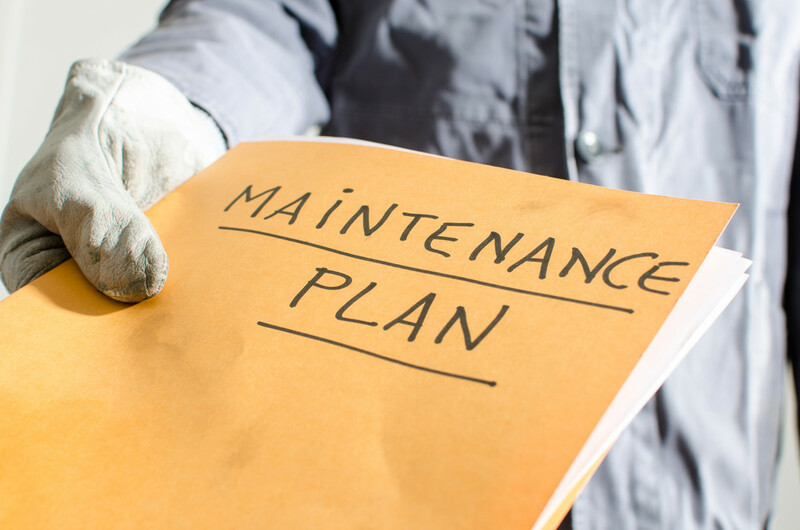 As a facility management company, employing a planned maintenance approach with your clients means that you are in a much stronger position to update and inform your clients of any planned works. This gives them time to implement a strategy that allows the work to be undertaken with little or no disruption to their business and their profit margins. A property that is well maintained ensures that you have a much more saleable asset than one that has a large amount of issues that require attention. Should you want to sell in the future, these problems may put off potential buyers or lead them to make an offer that is much lower than you would wish. So, investing now (in a planned maintenance program) really does have a knock-on effect for any future investments. Systems and equipment that are well-maintained, constantly inspected and regularly monitored will have a much longer lifespan than ones that are simply left to run into the ground or are only dealt with when a visible problem occurs. Waiting until an issue appears may also mean that the system is beyond a simple repair and will need to be replaced entirely, costing huge amounts of money. A planned maintenance program, whilst on the surface, may seem like more work to create and perhaps higher initial costs to set up, will, in fact, save huge amounts of money, as well as time and stress. If you have yet to implement one for your business, there is no better time than now – contact MSL on 0333 1234 450 to find out how we can help.